Alternatively you can visit our eBay store. 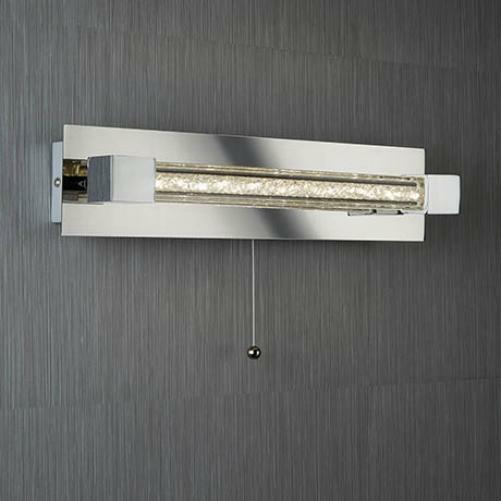 This chrome LED wall light with crystal glass bar looks stunning and is extremely functional. 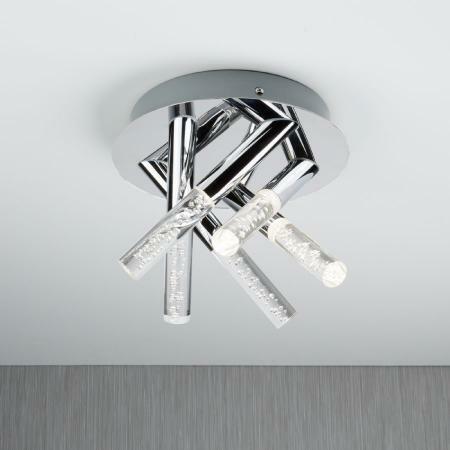 The polished chrome finish wall light with a long, crystal and clear glass diffuser offers a warm and inviting diffusion of light that is perfect for any bathroom or kitchen. 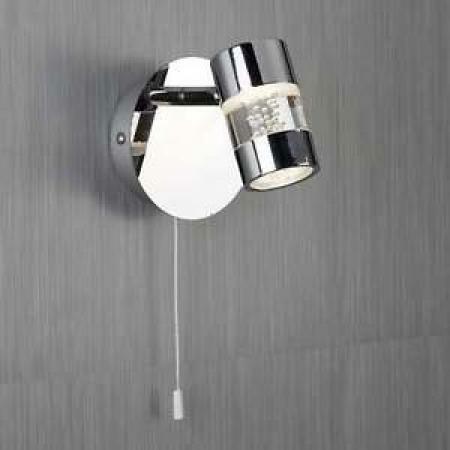 The latest energy saving LED technology gives off an efficient but significant source of light and the fitting comes with a handy pull cord switch. 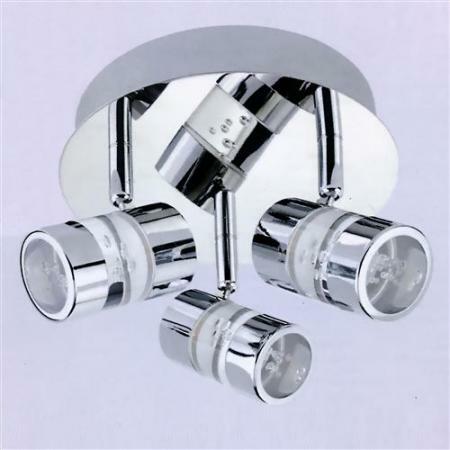 The wall light is also IP44 rated and fully splashproof.